Neighborhoods Map – District 5 United! [facebooksimplelike] Click LIKE if you like that we care about our community! San Jose Council District 5 Neighborhoods are listed below. Click anywhere on the map to view a larger version. 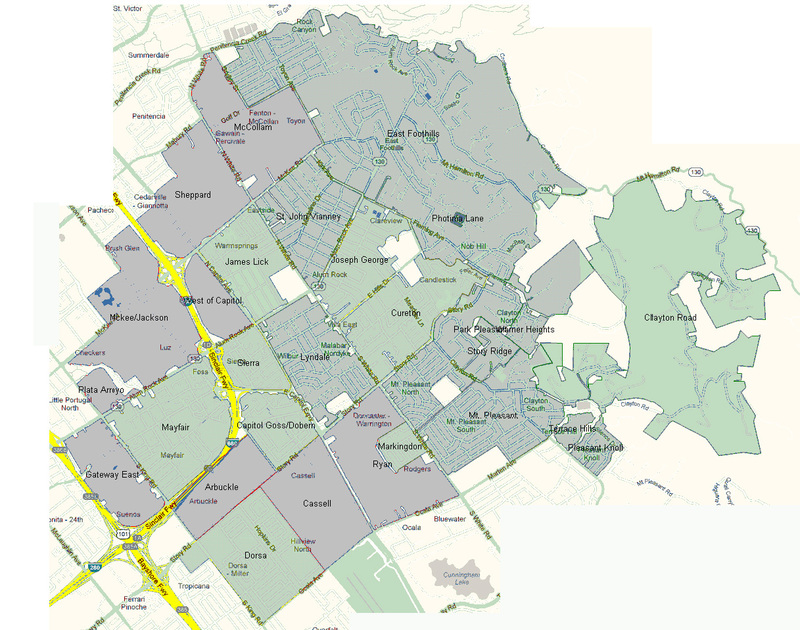 Click here to view larger maps of individual neighborhoods.